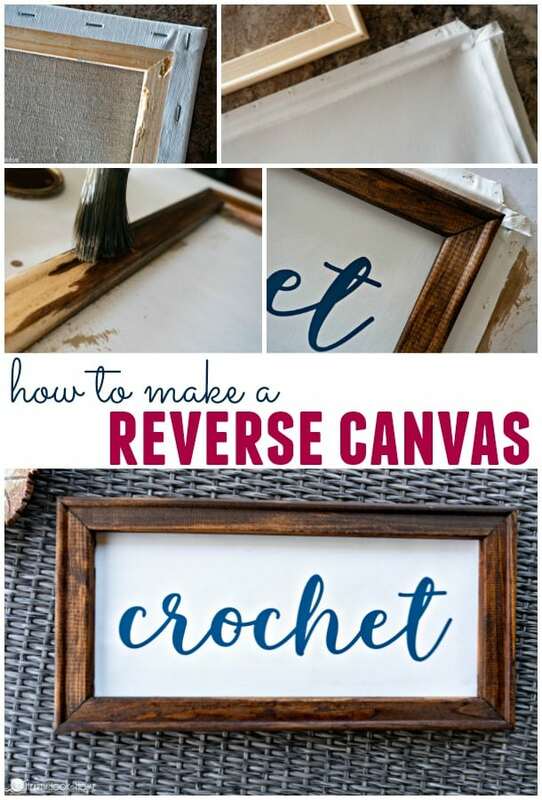 A reverse canvas is a fun and simple way to spruce up your decor. 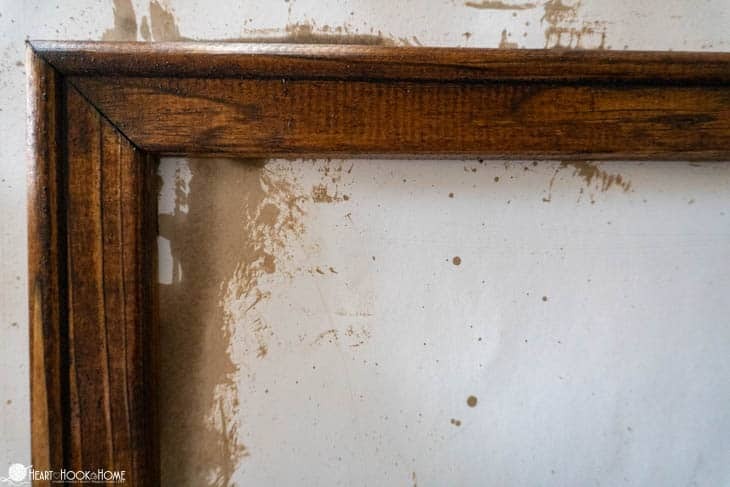 You’ll take a plain ol’ canvas you find at the craft store, remove the canvas from the frame, decorate it, and reattach it to the back. 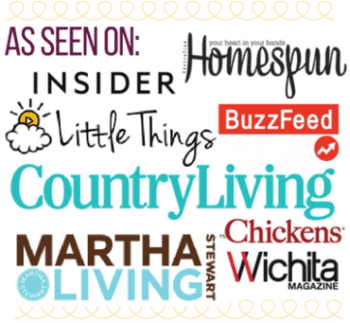 It’s so easy, and fun too! Reverse canvas is literally that. 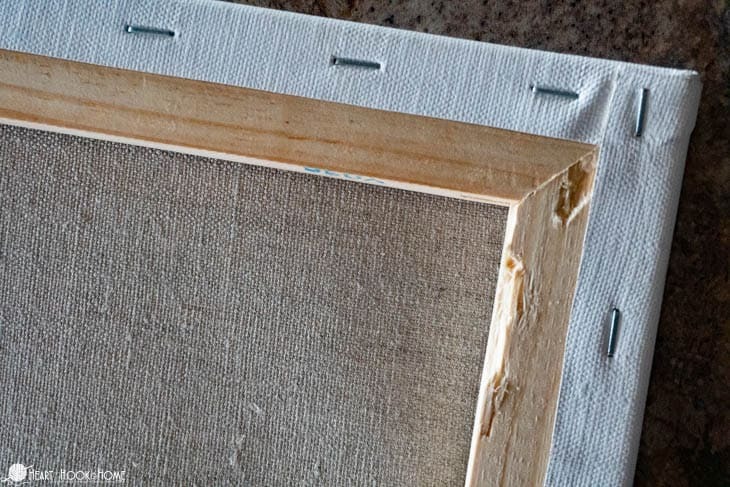 You reverse the canvas by taking the canvas off the frame and attaching it to the back instead. 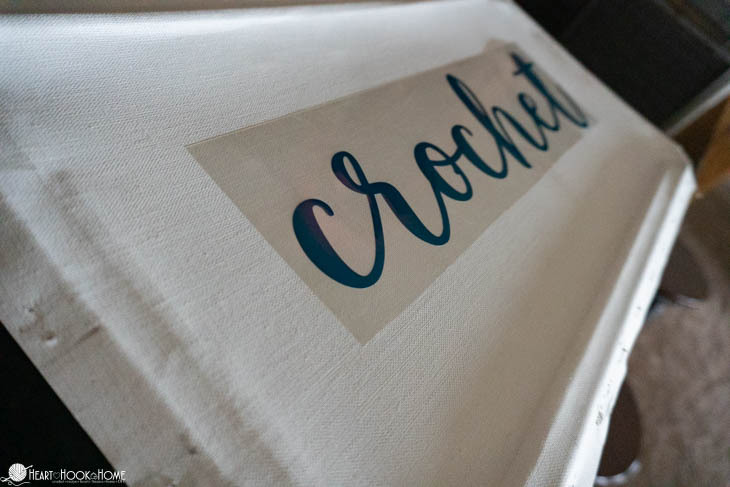 You can spruce up the canvas with heat transfer vinyl if you have a cutting machine like a Cricut, or you could paint on the canvas, draw, add 3-dimensional objects… the possibilities are endless! 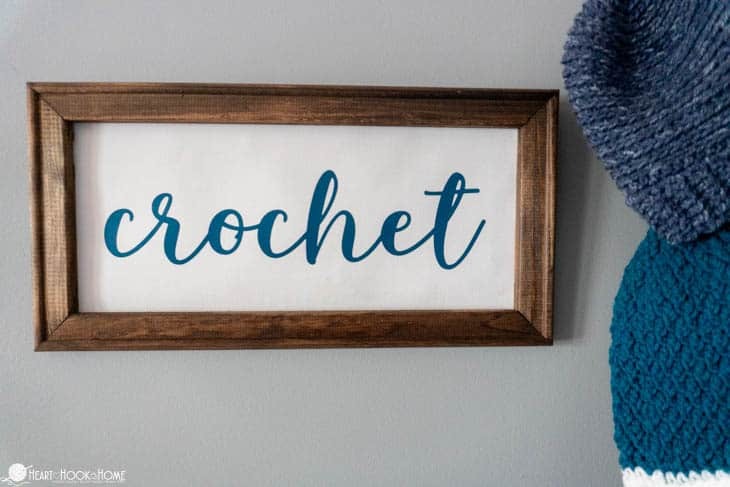 I chose to create a new piece of wall decor as a gift for my friend’s newly finished craft room. 1. First you’ll remove the canvas from the frame. 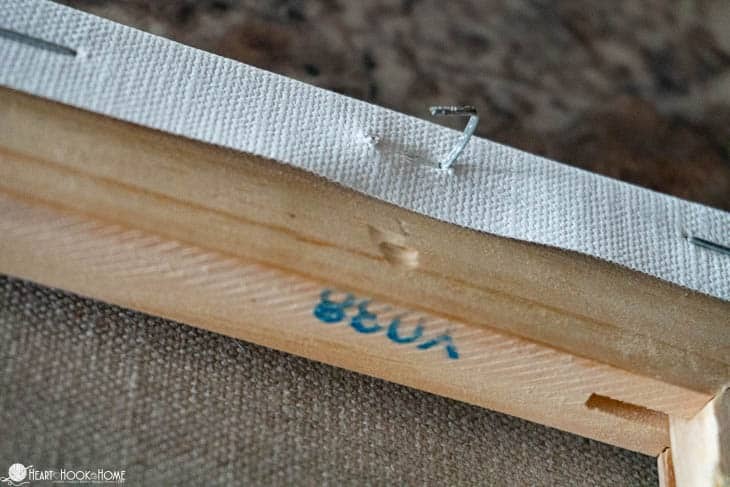 You can either cut with your utility knife or remove the staples entirely. 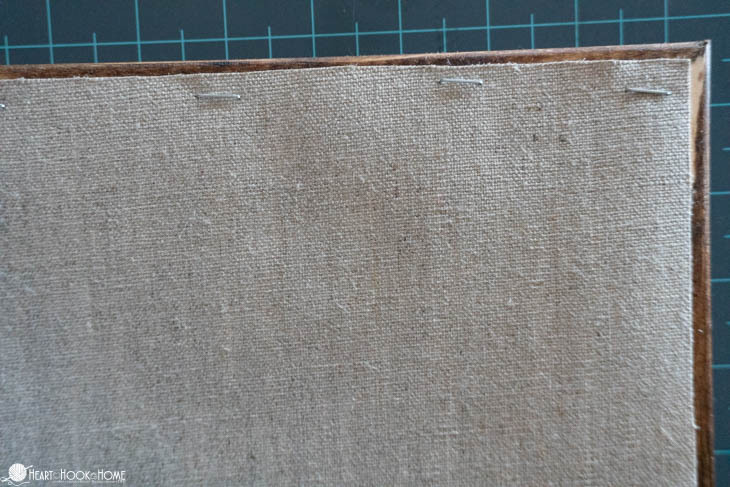 If you decide to simply cut it off, make sure you cut on the outside of the staples (so that you can easily remove the canvas). 3. Prepare the canvas. For my project I am using heat transfer vinyl, cut with my Cricut machine and applied with my Easy Press. Try to make sure its straight, although the centering isn’t all that important and you’ll see why in the next step. 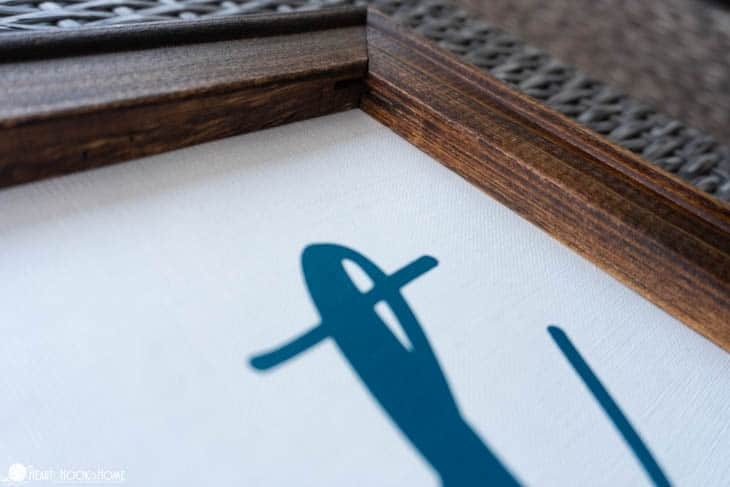 When determining the sizing of your vinyl, make sure you’re following the measurements for the inside of the frame, not the outside. 4. 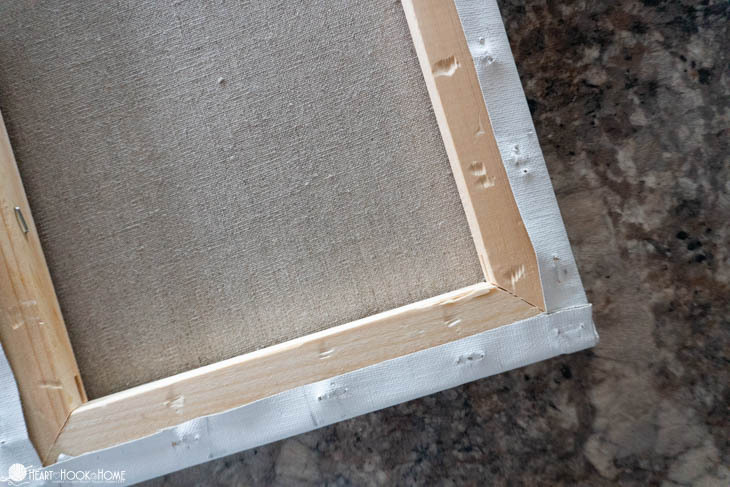 Position the frame on top of the canvas and make sure all is straight and even. Use a pencil to trace around the piece for cutting. 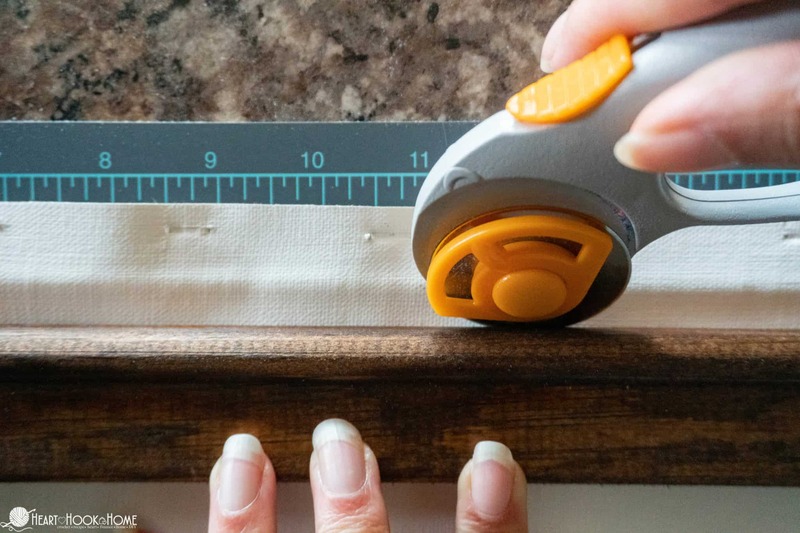 Note that you could just use your rotary cutter as I have – I only caution you not to push too hard as the frame may leave marks on your finished canvas. 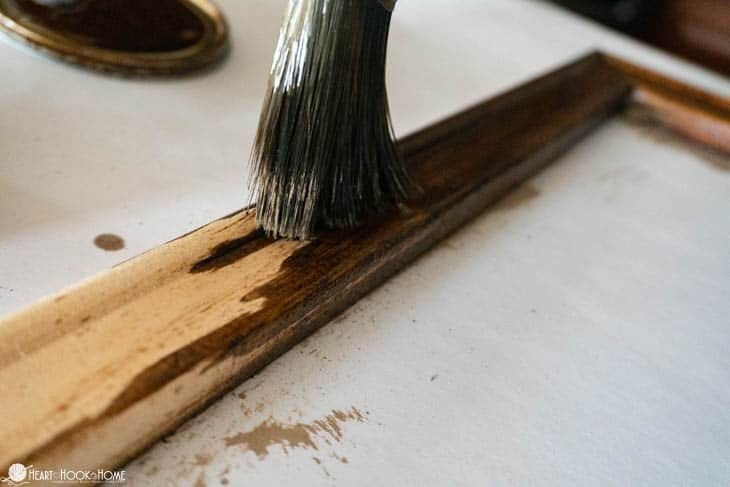 Trim any excess canvas. 5. 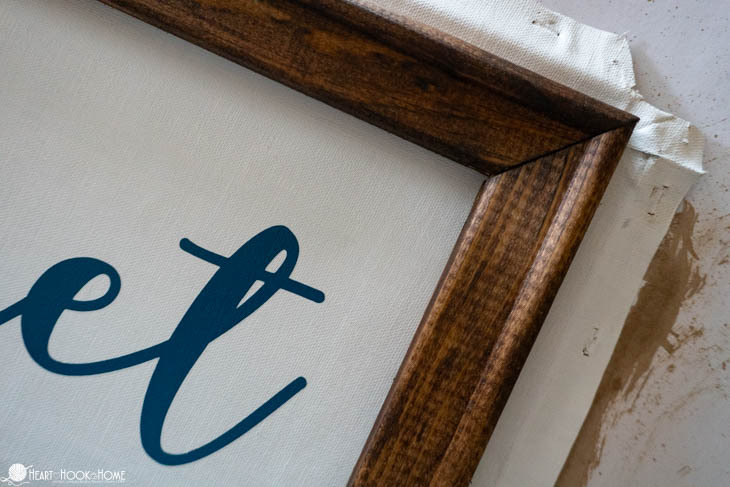 Flip the frame upside down and position the cut canvas on top of the frame. 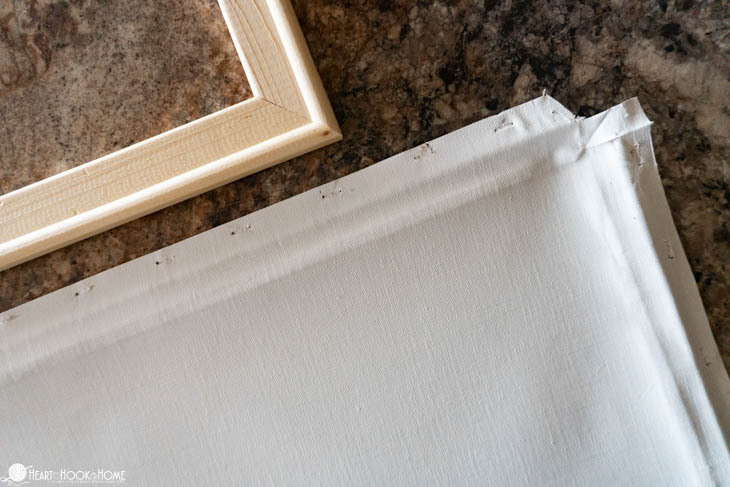 Make sure it is centered and, using your staple gun or hot glue gun, secure the canvas to the back of the frame. You’re done! This really is all there is to reverse canvas. 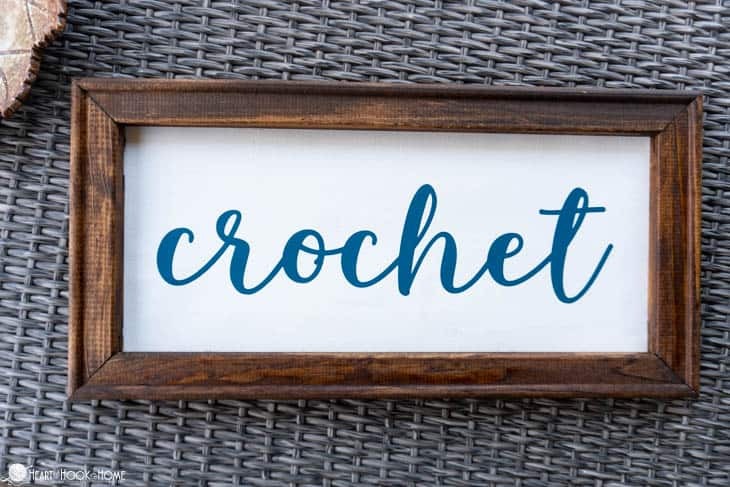 I’m thinking these would be a lovely baby shower gift using the baby’s name, or a favorite scripture such as Psalm 139:13-16. You never would know by looking at it that this is just a basic, cheap canvas! Hi Ashleigh..I would like to make the Beach Bag that you posted awhile back but it looks a bit hard for this ole granny. 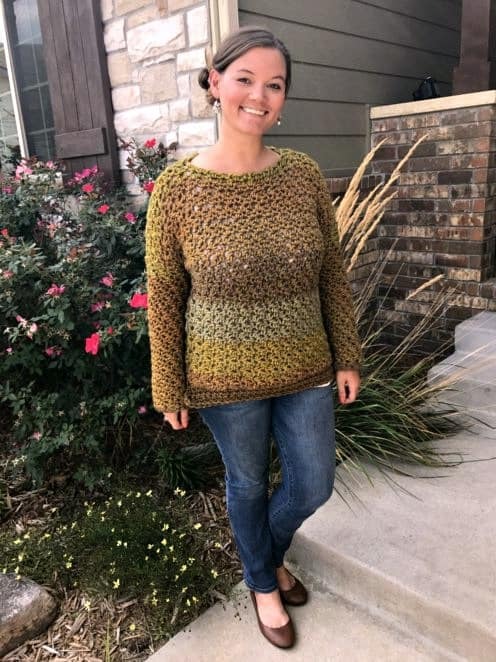 Was wondering if I could just do a dbl crochet all around the side or do u have another idea. Thank u so much. Hope your mom is improving all the time . Love following you. 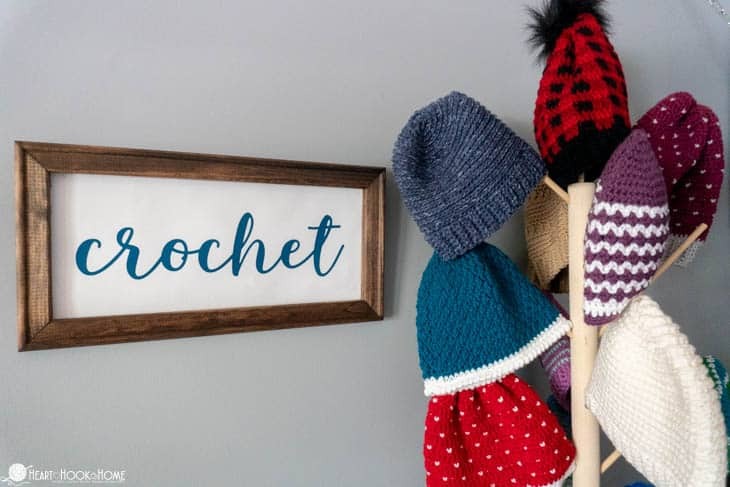 Also do I have to use a cotton yarn. I have Red Heart with Love on hand. Would appreciate hearing from you.